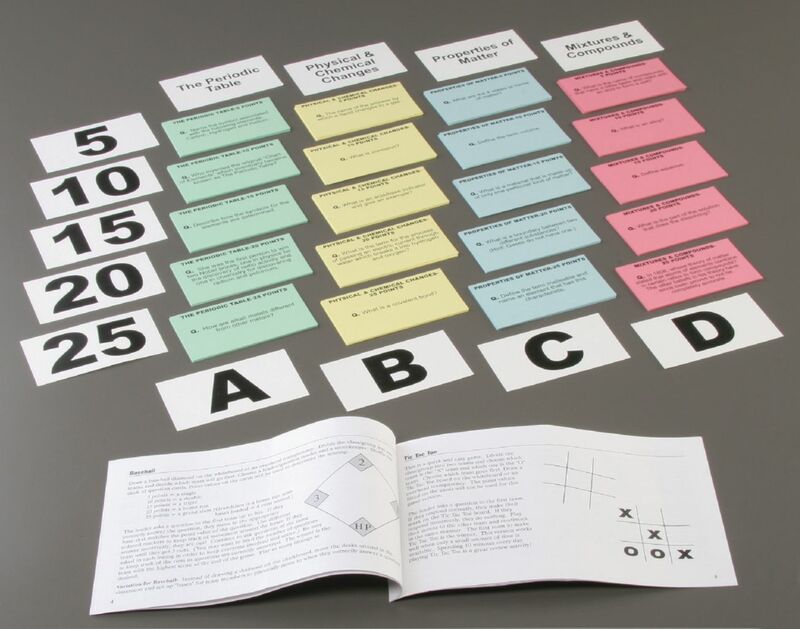 Make learning fun with this interactive chemistry game! The Probing Matter Game is a fun way to learn! 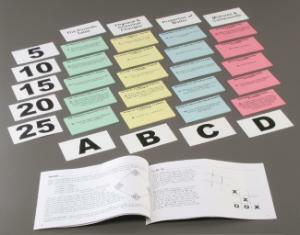 The teacher's guide included with the set of game cards suggests a variety of games that can be played, either in teams or individually. The cards are divided into four categories: properties of matter, the Periodic Table, physical and chemical changes, and mixtures and compounds. Answers are printed on the back.